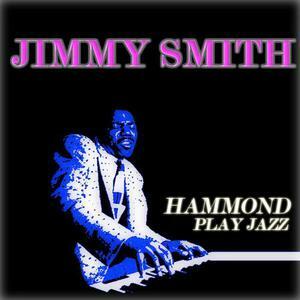 Jimmy Smith employed a unique technique to emulate a string bass player on the organ. Although he played walking bass lines on the pedals on ballads, for uptempo tunes, he would play the bass line on the lower manual and use the pedals for emphasis on the attack of certain notes. His solos were characterised by percussive chords mixed with very fast melodic improvisation with the right hand. He generally used a drawbar registration of 868000000 or 888000000 on the lower manual, which he used for the bass line and comping chords. He used a similar registration on the upper manual, which he used for soloing, but with the addition of the Hammond's percussion circuit. Smith was a prolific recording artist. This compilation CD is all the cream of Jimmy Smith. His influence has been felt across multiple generations and musical styles; nearly every subsequent jazz organist owes a large debt to Smith. The Beastie Boys (who sampled the bassline from Smith's Root Down (and Get It) and saluted Smith in the lyricsfor their own hit Root Down), Medeski, Martin & Wood, and The Hayden-Eckert Ensemble are among the better known contemporary bands that pay tribute to Smith's sensibilities and sound. The Acid Jazz movement also reflects Smith's influences.